Choosing between leasing and financing is never easy, and it takes time and patience before you can finally make a decision. It helps to have a team of financing experts to guide you through each option, and to help you decide on the one that’s better suited to your particular situation. At Rivington Rally Honda, we provide the answers and assistance you need. 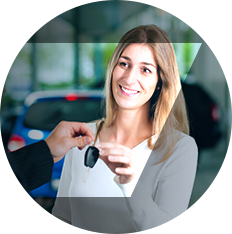 Here’s a quick look at the benefits of leasing and financing. For more information, don’t hesitate to contact us today! To learn more about the financing solutions available to you at Rivington Rally Honda, contact us today!